The T-770 is a waterproof projection speaker built-in 70v/100v transformer. 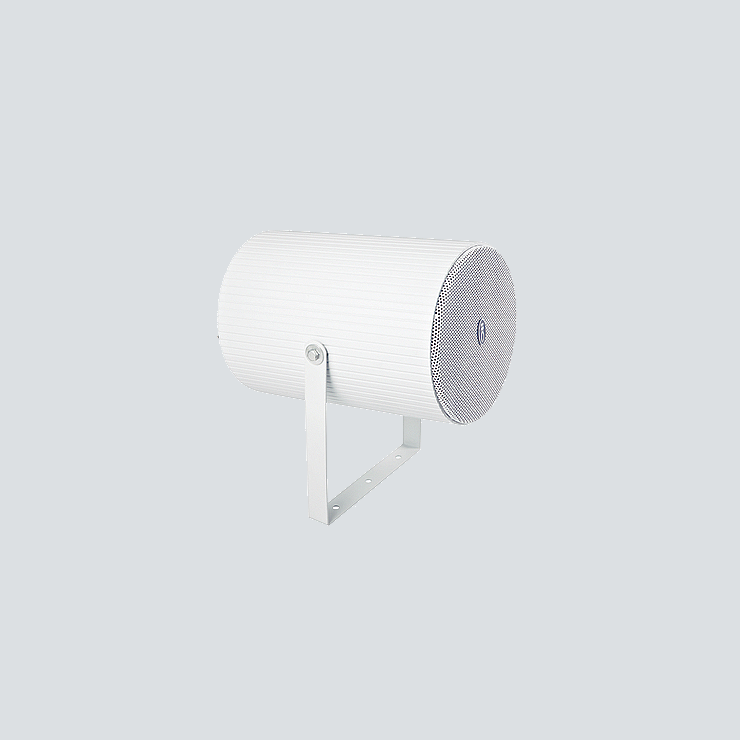 The built-in6”full range speaker driver is designed of wide frequency response 250-14kHz, the multiple power taps 7.5W & 15W are helpful for different applications varies from room size and ambient noise surroundings. It is ideal choice for industrial and commercial applications in the outdoor area of train station, shopping mall, parking area and factory where background music and paging is needed.